BONUS+++: We’re adding the MALARAE FREEDOM BRACELET to today’s giveaway (value $36). It’s probably safe to say that you’ve heard of Lululemon before. Not only have they grown into a well recognized brand, they believe strongly in community involvement and support. In Ottawa, we’re lucky to have 2 Lululemon locations (Westboro + Rideau Centre). Did you hear that the CF Rideau Centre location was just renovated? They’ve done such a great job again at making it a beautiful and functional space. Every time you walk into Lululemon, you are greeted by fun, friendly and knowledgeable staff who want to make you feel welcome and comfortable. If you haven’t been to the new Lululemon Rideau location yet, today would be a great time to come in and check it out. MalaRae is doing a pop-up shop between 10am-3pm and we’d love to see you. You will have TWO chances to win this awesome prize (Lululemon Reversable Yoga Mat + MalaRae Freedom Bracelet). One will be given away on the 13th of December - the other will be a part of a GRAND PRIZE draw at the very end of the giveaway when someone will have the chance to win EVERYTHING from the entire MalaRae 12 Days of Giveaways. Total value… $1768.50!!!!! Stay tuned for more details! BONUS: Let us know if you’ve managed to checked out the new Lululemon Rideau location. Day 3 giveaway contest runs until midnight EST December 12th, 2016. 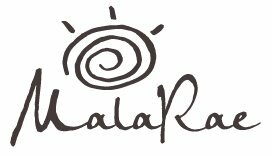 I love Lululemon and MalaRae products! Also, my yoga mat is a bit tired and this would be a great replacement! I love the news Lululemon store… it is filled with awesome product and equally as awesome people. I worked there on and off for three years and it is an amazing, loving community! I miss it! So happy they are included in your giveaway. I’d love to win a new mat as I’m committed to a regular practice and my old mat’s in bad shape! I haven’t been yet but I can’t wait to! I am dying to check out the new location! I want to win because I’m just starting yoga and need a mat. my yoga mat is starting to fall apart. I would love a new one. Yesss a yoga mat!! I have been meaning to treat myself to a new, thicker one now that mine is about 8 years old?! I really need a new yoga mat; mine’s in rough shape! Would love this!! Still need to see the new location. Very excited to stop in. I’m overdue for a new mat! And the bracelet is beautiful! !